In 2009, WWFA ventured into an official partnership with Playpumps International Water For All to provide 25 schools in Malawi with clean water. 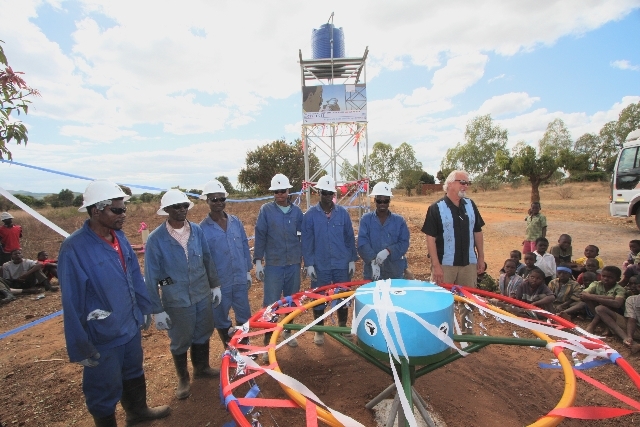 It was hailed by the Malawian government as a major step in the country’s rural water development. The agreement held WWFA responsible for drilling the wells, while PPI Water For All, through contributions from USAID and others, procured the pump and its instillation. It was a great feat for WWFA as supporters contributed $120K. By and large it proved to be an investment in a pump system that was not well suited for WWFA’s field of operations. Children soon stopped playing on the merry-go-round which meant individuals fetching water had to turn the mechanism alone. In one case, the school had an entire period dedicated to spinning the merry-go-round so the community could have water. In the end, more time and energy was being spent to collect water with the playpump than if people had walked to their old source, which they began to do for purpose of its “ease.” It is the opinion of WWFA that Playpumps are better suited in areas where enough water independently exists. WWFA is honored to have been a partner on the pilot introduction of a technologically progressive water development system in Malawi. However, due to complications with the technology’s use in rural areas WWFA is working with recipient communities to diversify their water sources. One of the solutions is to modify the pump, another is to replace it with an Afridev pump. It is a decision that is ultimately being made by the communities themselves.